Goatman is a mysterious creature that has commonly been sighted in Maryland; however, there have been numerous sightings in Texas, as well. Reposted here is information about two different creatures in Texas known as Goatman. 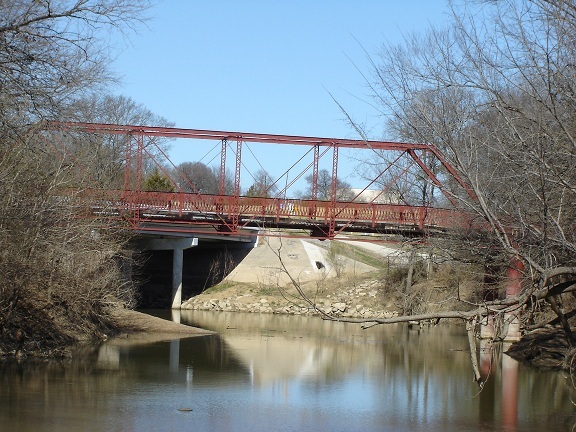 The first section provides information for what is known as the Lake Worth Monster; the second provides information about a creature sighted in Denton, at the Old Alton Bridge. While the Lake Worth Monster has not been regularly seen since the late-1960s, the creature in Denton has been sighted on a regular basis. Make of these what you will. The following is taken from The Paranormal Files; no ownership is claimed over any of this material. 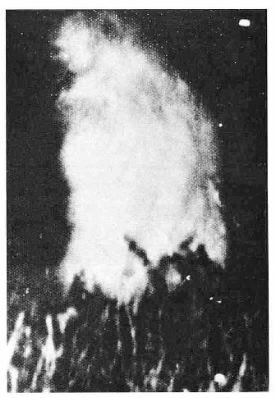 During 1969, there was a creature spotted by many people near the area of Lake Worth in Texas. The creature was described by many as a monster, “half goat half man”. Some believe it was nothing more than a prankster, while others believe it was a real living being. The story starts on July 10, when a man named John Reichart, his wife and two other couples went to a police station in Fort Worth. The police officers there noticed the people were so shaken up that they decided to investigate their story. The witnesses told the police while they were near the lake, a big creature jumped out at them and got on top of their car. They described the being as having scales and white hair, looking like a “half man, half goat” creature. When the police went to the scene of this incident, there was nothing found. However, there was an eighteen inch scratch on the side of the car that the alleged monster jumped onto. The couples said the scratch was not on the car, before the incident happened. About 24 hours later there was another sighting of the lake worth monster. About twenty four hours after the first sighting, a man named Jack Harris was driving near the Lake Worth Nature Center and said a creature walked right in his path. He said the creature was going up and down a hill. A crowd of forty people came and watched the mysterious beast. On this same day, the front page of the newspaper said “Fishy Man Goat Terrifies Couples Parked at Lake Worth”. Police arrived on the scene with the crowd, and were about to become witnesses of this mysterious event. Everyone reportedly saw the creature, and the police saw it too. The witnesses say the beast threw a car tire at them and ran off into the brush. During the months after this, people went looking for the lake worth monster with guns in hand. During one incident, it was claimed that the beast was shot, and a trail of blood was followed to the edge of the lake water. Another group of people looking for the creature claimed to have seen dead sheep with broken necks in the area. They say the sheep must have been killed by the beast. It was later theorized after these events, that the lake worth monster was a bobcat. It was also thought that police might have caught pranksters with a costume, although this was never confirmed. If it was a prankster, he must have been very brave with all those people walking around with guns looking for the monster. The sightings died out in 1970, and no one has come forward to claim that they hoaxed the sightings. In her book “The Lake Worth Monster,” author Sallie Ann Clarke recalls a personal close encounter. In 1969, Allen Plaster supposedly took a picture of the Goatman, posted below. This picture is very unusual…It’s hard to tell what exactly it’s a picture of. It only adds more momentum to the mystery, however. As stated earlier, the Lake Worth Monster has not been regularly seen since the late-1960s, so let’s leave this section as it is; make of the Lake Worth Monster what you will. The following is an excerpt taken from Cryptomundo; no ownership is claimed over any of this material. Another such creature of distinctly Goatman proportions has been regularly reported at the 1884-built Old Alton Bridge in the town of Denton, which is situated only a short drive from the city of Dallas. One legend says that, many years ago, wannabe devil-worshipers in the area inadvertently opened up a portal to some hellish realm that allowed the vile beast open access to our world. And now, today, and as a direct result of this reckless action, the Goatman has no intention at all of returning to the strange zone from which he appeared; hence his deep desire to forever haunt the old steel-and-wood bridge at Denton. An even weirder story maintains that the Denton Goatman’s origins can be traced back to a resident of the town who, decades ago, slaughtered his entire family, and was quickly hanged as a punishment for his terrible crime. As the local legend tells it, at the moment he was hung, the man’s head was torn from his body by the weight of his form. And, for months, his spectral body returned to the world of the living with only one goal in mind: to find itself a brand new head, which it supposedly did by wrenching off the head of an innocent goat that had the great misfortune to be in the area at the time. And clearly of very similar origins is yet another legend which suggests the man hung by the neck was a local goat farmer, one Oscar Washburn, who incurred the wrath of local Klansmen for, in their warped eyes, having the wrong color skin. In this version of events it is the Klan that kills the unfortunate family. Was the “head-wrenching” story, in both versions, merely a tall tale? Of course, it was! But that does not take away the fact that local folk, on a number of occasions, have reported seeing the nightmarish beast roaming around the vicinity of the bridge. In other words, whatever the real origins of Denton’s Goatman, there does appear to be some substance to what many merely perceive as an entertaining piece of local hokum and nothing else. Are the Goatmen of Texas real? That’s for you to decide. Research both creatures further on your own, and you be the judge.